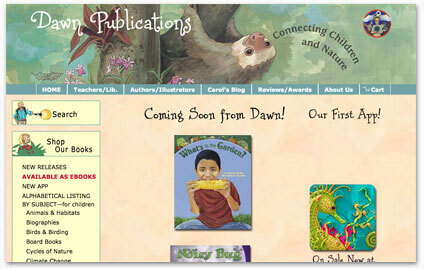 Dawn Publications is dedicated to inspiring in children a deeper understanding and appreciation for all life on Earth. We aim to help parents and teachers encourage children to bond with the earth in a relationship of love, respect, and intelligent cooperation through the books we publish and the educational materials we offer online. 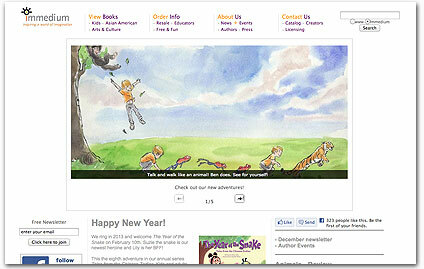 Dawn publishes “nature awareness” titles for adults and children. Our picture books are intended to encourage an appreciation for nature and a respectful participation in it. We are seeking to inspire children as well as educate them. An inspired child is a motivated child. It’s extremely helpful when titles are well-suited for classroom use and fit into the standards that teachers have to follow these days. We generally don’t publish “straight” nonfiction without some other feature that will capture a child’s attention. There may be a story, such as Eliza and the Dragonfly or Amy’s Light. There may be a song, as in Over in the Ocean or River Song. There may be cumulative verse, as in Under One Rock or The Tree in the Ancient Forest. Most of our publications are picture books; but occasionally, we publish black and white chapter books for middle school readers, such as the Earth Heroes biography series, when there is a strong environmental and inspirational element. We like to be on the cutting edge of ideas, so we are willing, for example, to publish the Great Story for children as the Universe series. Your ability, interest, and willingness to promote through school visits, conference presentations, etc., is very helpful and important. We accept submissions via e-mail and snail mail. Important—use the following format in the subject line of your e-mail: “Manuscript submission:” followed by the title of your work, followed by “by (your name).” (For example, Manuscript submission: The Tale of Peter Rabbit by Beatrix Potter). One manuscript only, please! The e-mail should consist of a cover letter about yourself, your intent and vision for this submission, and your other publications, if any. The manuscript may be either included in the body of the e-mail or attached as a Word or PDF document only. If you have previously submitted other manuscripts, please include your biographical information again. E-mail to: submission@dawnpub.com. Please don’t send submissions or queries to any other e-mail address at Dawn Publications. Always enclose a self-addressed stamped envelope (SASE). If an SASE is not enclosed, we will not respond. Please enclose a cover letter about yourself, your intent and vision for your submission, and your other books, if any, along with the manuscript. 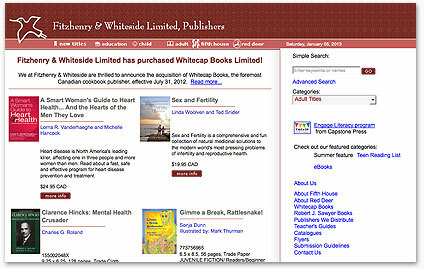 Fitzhenry & Whiteside is a private limited corporation owned by the Fitzhenry family with over 1,500 titles in print. We publish or reprint, through our group of companies, about 100 titles per annum. The house specializes in history, biography, poetry, sports, photographic books, reference, photography, and children’s and young adult titles. Advance/Royalty %: Yes to both, numbers vary. We are no longer accepting manuscripts for board books, narrative poetry, seasonal stories, or early chapter books, nor are we interested in manuscripts written to convey a lesson or a moral. Please note that we tend to publish mostly Canadian authors and illustrators. For picture book submissions, please include the entire text. For novels, please submit a proposal/synopsis and the first three chapters only. For words of nonfiction, please include a proposal and outline with two or three sample chapters. Submissions should be legibly typed. We do not accept fax or e-mail submissions. Please submit no more than one manuscript at a time. All submissions should be accompanied by a cover letter. Query letters, cover letters, and the first page of the manuscript should include the author’s name, address, and phone number. Please do not submit the original copy of your manuscript. We cannot be responsible for the loss of unsolicited works. We will do our best to return manuscripts, but we cannot guarantee this unless we also receive an SASE with sufficient Canadian postage (stamps only, no checks or money orders, please). We cannot return manuscripts COD. Please do not submit art with your story. Please do not bind your work—a paper clip or elastic band will do. Our mission statement is: to explore and illuminate the touching and humorous moments of family situations and social interactions through captivating writing and outstanding illustrations. Stories should have universal themes and deal with family or social situations. They should appeal to four to eight year olds and have approximately 1,000 words. Most of all, they should feel like they’d fit our line. Please spend some time looking through our website and reading about our books to determine whether your story might be a fit. 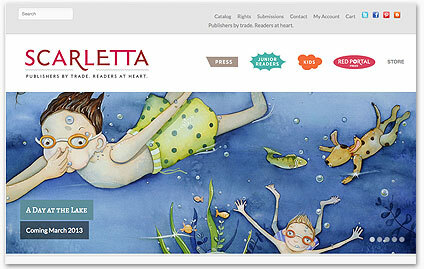 We only publish picture books. We are not interested in concept books, nonfiction, early readers, chapter books, or YA novels. And no holiday books either, thanks. 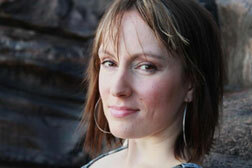 Send a query e-mail describing your story (plot, word count, target audience, what makes your story unique) to Shari Dash Greenspan at submissions@flashlightpress.com. Do not attach the query letter to an e-mail—type or paste it into the e-mail. Under no circumstances should a manuscript be sent (neither attached nor pasted into the e-mail) until it is requested by the editor. Do not send any queries or manuscripts by snail mail. We are going paperless and will disregard and recycle any paper samples we receive. Due to the large number of queries we receive, we are no longer able to send individual replies for queries we do not wish to pursue. You will receive an automated reply that we received your query. We will follow up with another e-mail only if we wish to see your full manuscript. If you do not receive another e-mail within a month or so, please realize that your story was not considered a fit for our line. But don’t despair: we only publish several books per year, so we need to be extremely selective. Manuscripts, when requested, will be evaluated within 3-4 months. Immedium publishes innovative, influential, and insightful books and collaborates with creators who have the same goals. Immedium values fresh ideas, dynamic perspectives, and can-do creativity and transforms them into media that have vibrant markets and international potential. We serve audiences who appreciate originality, skill, and a compelling message. We seek writers, illustrators, and artists who have provocative tales to tell and the talent to convey them. A publisher’s responsibility is to marry words with pictures to create a unique message. So please do not submit proposals that duplicate our existing books. Also, do not submit children’s picture books, which you consider to be complete with “finished art,” since we want the flexibility to help improve and refine your concept. Please send us your proposal with your cover letter, resume, and samples (written or illustrated). Your cover letter should succinctly explain your: general topic, specific focus, and individual thesis; relevant background and qualifications; target market and reader; comparable titles (the five bestselling books on this subject); and interest in working with Immedium. Your resume should summarize your career, education, and interests. 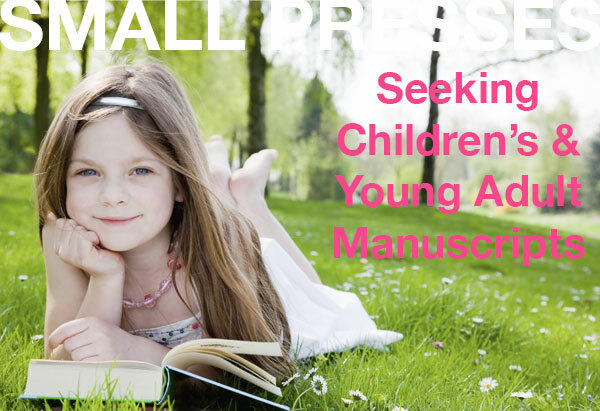 Your samples should best represent your book concept: for children’s picture books, send your full manuscript including page breaks; for other genres, send a one-page summary and two sample chapters (50 pages total). If you want your materials returned, include a self-addressed stamped envelope (SASE) with the appropriate amount of first class postage. However, if you just want a reply, include a letter-sized SASE or your e-mail address. If you don’t include an SASE, then we will recycle your materials. While we seek to publish new voices missing from the literary world, we also want to make sure your manuscript will fit our genre community. The books we choose to publish are intellectually stimulating, adding relevant knowledge to the reader’s minds. 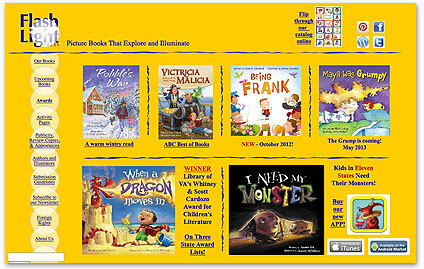 Our Junior Readers and Kids imprints focus on literature and picture books with educational twists, exciting illustrations, and engaging plots. We don’t publish plays, screenplays, short story collections, or poetry. With your cover letter, please send us a synopsis of your book and one or two chapters, no more than 30 pages. We accept both agented and unagented manuscripts. Please include a self-addressed stamped envelope (SASE) with any hard copy submissions to receive our response. You may send your submissions to: Editor, Scarletta Press, 10 South 5th Street, Suite 1105, Minneapolis, MN 55402; or e-mail an attachment to info@scarlettapress.com (please don’t send submissions directly to any of our staff members). Due to the amount of submissions we get and our small staff, response time can vary. We will try to respond to your submissions within one month. Of course, if you submit outside of our reading period, we will not reply until our reading period begins again. We make sure that each title we choose to publish is positioned correctly in the market and is of the best quality. The publishing process in general is a slow one; and depending on the amount of editing required, the season/date that makes the most sense with the topic, and if there will need to be illustrations commissioned, it can take anywhere from one to two years.